The latte is a lie, and buying coffee has nothing to do with debt. An excerpt from Helaine Olen’s Pound Foolish. Debunking the personal finance advice industry’s favorite myth. The latte factor seemed to explain all our woes: Give up that latte, and save a six-month emergency fund! Photo illustration by Slate. Photo by Drew Coffman/Unsplash. Excerpted from Pound Foolish: Exposing the Dark Side of the Personal Finance Industry by Helaine Olen. This article supplements Episode 2 of United States of Debt, our third Slate Academy. Please join Slate’s Helaine Olen as she explores the reality of owing money in America. To learn more and listen to episodes, visit slate.com/Debt. Behold the Starbucks latte. The delicious mix of espresso, steamed milk, foam, and add-ons to taste is ubiquitous in our culture, a staple of modern middle-class life. Depending on whether one orders a tall, grande, or venti, and where in the country you are (lattes in New York cost more than lattes in Seattle), one can spend anywhere between $2 and $5 on the popular drink. And many of us do. Americans buy more than 4 million caffè lattes, cappuccinos, frappuccinos, and other Starbucks beverages every day. A quick cup of coffee, a few moments of pleasure. What could be wrong with that? If you ask David Bach, a lot. According to him, the Starbucks latte is one of the leading sources of our money woes. A former Morgan Stanley money manager, Bach parlayed his experience into multiple book contracts; a nationwide seminar series designed to teach women about money; and, ultimately, a former gig on the Today show. Bach believes we can all become millionaires by the time we retire if we simply arrange to make our savings automatic by having money deducted from every paycheck we receive and funneled into an investment account. It’s not a bad insight as far as savings strategies go. Numerous other organizations and people promote automatic savings under the argument that if you don’t have to think about setting your money aside, you’ll be more likely to do it. But first people need to find money to invest, and that’s a challenge for the average American. Just under half of us are living paycheck-to-paycheck existences at least some of the time, with nary a penny left over for savings. That’s where Starbucks enters the picture. Bach calculated that eschewing a $5 daily bill at Starbucks—because who, after all, really needs anything at Starbucks?—for a double nonfat latte and biscotti with chocolate could net a prospective saver $150 a month, or $2,000 a year. If she then took that money and put it all in stocks that Bach, ever an optimist, assumed would grow at an average annual rate of 11 percent a year, “chances are that by the time she reached sixty-five, she would have more than $2 million sitting in her account,” (emphasis mine) he wrote in his first—and most famous—book, Smart Women Finish Rich, published in 1999. “Are you latte-ing away your financial future?” Bach asked his readers. People couldn’t get enough of the latte factor. It seemed to explain all our woes, all our lack of financial discipline. Give up that latte and save a six-month emergency fund! It was a simple solution to a long-term problem. “Extraordinary,” said Lester Holt on NBC. 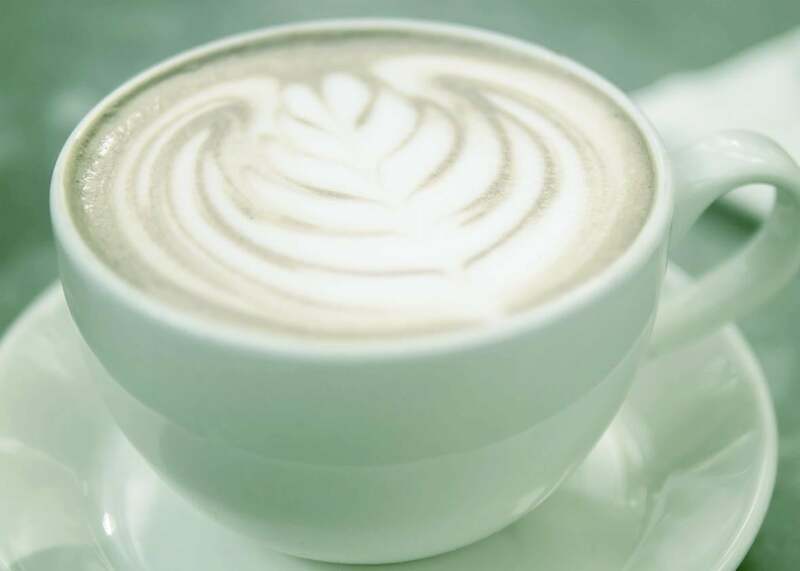 An Australian mutual fund company debuted the “Latte Challenge” to get savers to put aside money for retirement (in its funds, of course). The Bank of Nova Scotia announced a deal with Bach in late 2004, buying up 250,000 copies of The Automatic Millionaire to promote its “Find the Money” initiative, which encouraged customers to sign up for automatic deposits in the financial institution’s retirement plans. There was only one thing wrong with the latte factor. It wasn’t true. It didn’t work mathematically. It didn’t work in terms of what we were actually spending our money on. And it didn’t take into account what life costs were actually rising or falling. Bach, whether by design or true belief, had concocted a catchy slogan that appealed to our desire for a quick and easy fix, but one that bore little relation to economic reality. Bach knew his archetypal latte guzzler could not be spending $5 on a single latte, not in 1999. So he added a biscotti to the bill and factored in the incidental Diet Cokes and candy bars he assumed his subject also bought. Even then his numbers didn’t quite add up. Five dollars a day, 365 days a year is $1,825. So Bach “rounded” the number up to $2,000 annually, the better to exaggerate the amount of money that the latte was, in the long run, costing the person who was drinking it. Other numbers were equally as suspect. A 10 or 11 percent average annual return on stock market investments? The Dow Jones Industrial Average showed a 9 percent average annual rate of return between 1929 and 2009. And that was a good, long-term, 80-year number, a period very few people besides a lucky trust fund baby who made it to an old age could hold on for. There’s more. Bach did not take inflation or taxes into account. When Bad Money Advice, a popular personal finance blog, ran the numbers, remembering those two pesky financial details, he came up with $173,000. Not chump change, for sure, but way, way short of $1 million. Other personal finance experts came up with even lower numbers, many using Bach’s own “Latte Factor Calculator” on his website. Kimberly Palmer at U.S. News & World Report calculated a $3-a-day habit earning 3 percent annually would net $50,000 in 30 years. Even then, we were assuming our hypothetical Starbucks junkie was the luckiest investor ever, plagued by no financial ill winds or unexpected trips to the unemployment or doctor’s office. Bach was only one of a group of personal finance gurus who argued that the wealthy are the wealthy because, unlike you or me, they don’t waste their money on frivolities. The advice in his and other books spreading this idea was often cloaked in the guise of your friendly next-door neighbor offering tips that were good for you. Take Jean Chatzky, a perky adviser with a frequent, somewhat nervous smile who came by way of working on the Forbes 400 list and, like Bach, Oprah’s couch and morning television. Her response to the Great Recession? Penning a book that contained money advice for the poor from the wealthy, with such words of wisdom as “Overspending is the key reason that people slip from a position of financial security into a paycheck-to-paycheck existence” (italics in original). Of course she failed to acknowledge that it’s easy to overspend one’s unemployment check that, at the time of publication, averaged $293 weekly. Like Bach and the latte factor, these alleged finance gurus played fast and loose with the facts. When Russ Alan Prince and Lewis Schiff looked at the phenomenon of what they described and ultimately titled The Middle-Class Millionaire, those with a net worth between $1 million and $10 million, they found a group of people who didn’t exactly sweat the small stuff—who used high-priced concierge medical practices and utilized business coaches to help them get ahead. They were most emphatically not cutting back on small luxuries. Yet the latte factor and its like certainly sounded spot on. Collectively, they fed into the American streak of can-do-ism, our Calvinist sense that money comes to those who have earned it and treated it with respect. A penny saved is a penny earned, after all. But it was not, as Bach put it, “the daily extravagances that drain your resources” that were the cause of many of our money woes. In the view of researcher Jeff Lundy, who wrote a paper on the phenomenon, the spending, while a problem in that it caused a decrease in one’s financial reserves, wasn’t causing the financial ill winds themselves: “Spending $2 for a latte may, over the long-term, add up. But it is not the direct cause. It has to be in combination with high medical expenses or losing your job or something like that.” As Elizabeth Warren and her daughter, Amelia Tyagi, revealed in their book The Two-Income Trap, the problem was much more complicated than many personal finance gurus would have it. It wasn’t that an entire generation had suddenly decided to purchase lattes and other frivolities at the expense of their financial futures. In fact, the cost of everything from packaged food to furniture was significantly lower than it was in the 1970s. Giving up a latte or another such small extravagance in this environment wasn’t going to be enough. Yet the personal finance shills continued to tell people their problems were mostly of their own making. Published by Helaine Olen in agreement with Portfolio, an imprint of Penguin Publishing Group, a division of Penguin Random House LLC. Copyright © Helaine Olen, 2012.